From last month. 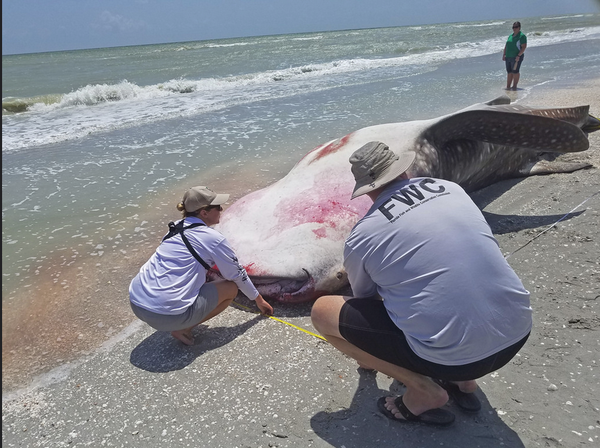 Whale shark necropsy performed on Sanibel Island by FWC's Dr Gregg Poulakis and NOAA's Dr Jose Castro along with additional FWC staff. The whale shark was as immature/maturing male, just shy of 26 feet in total length. He said it's needed because of the potential health hazards, the economic impact on business and to free up emergency funding to tackle the effects of the natural disaster. Something the magnitude of which likely wasn't planned for in the annual budget when Sarasota's fiscal year started last October. The city joins the county and the state in declaring an emergency because of the event, which has killed countless fish and other creatures and may be making tourists look elsewhere for their beach vacations. 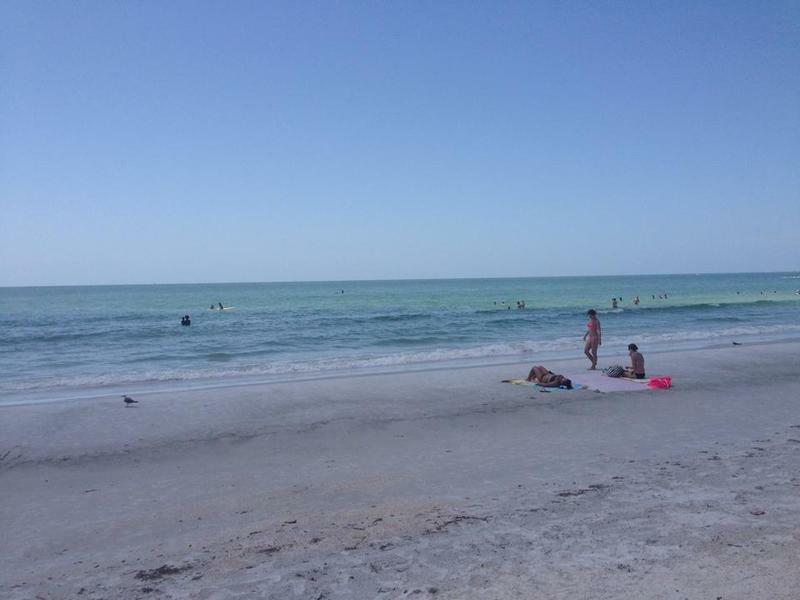 Governor Rick Scott declared a state of emergency for seven Gulf Coast counties earlier this week, including Sarasota. 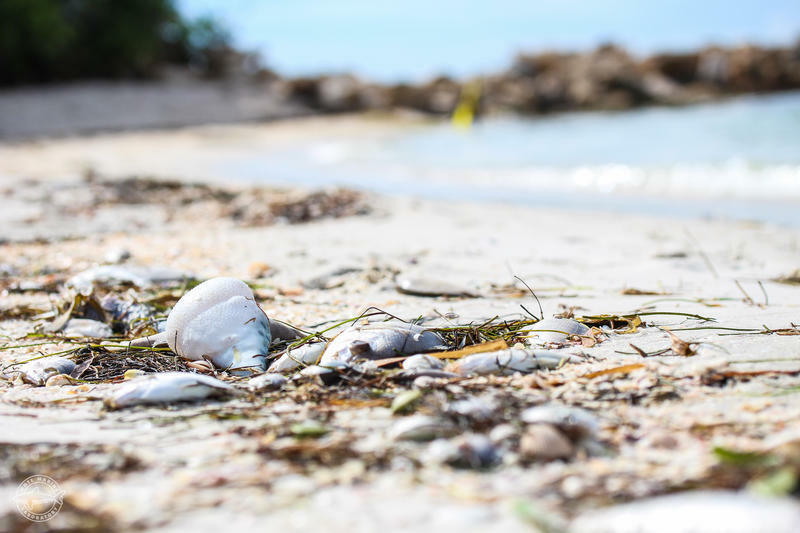 Lately, in addition to fish kills on the beaches, people who live along canals have been seeing masses of dead fish along the surface of the water, their silvery carcasses shining in the sun and stinking up the neighborhoods. Kerkering said they are trying to prioritize clean up in those areas where the approach is not as straight forward as it might be along the beach. "Either people are on boats, or they're walking the rocky shoreline or the sea walls with big scoop nets," Kerkering said. "So it's very labor intensive and that's why we're trying to define to is there a standard that we can apply so we can adjust our efforts to make sure we're hitting the critical spots." And with the movement of the tides, currents and wind shifts, critical spots can change, so timing is everything. Although the impact and full extent of this red tide event is not known, Kerkering said the effects may be felt into this fall. 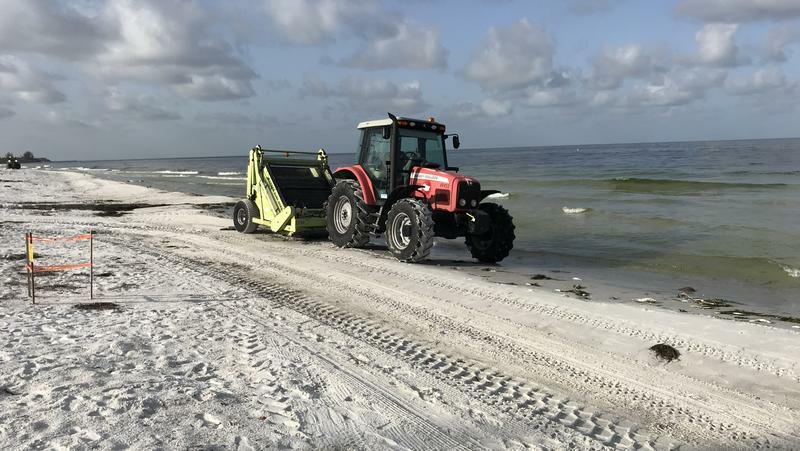 "Even if it was clean today, it does not mean that you're not going to have residual lost income because of the message getting out nationwide of the west coast of Florida suffering from red tide outbreak," Kerkering said. Gov. 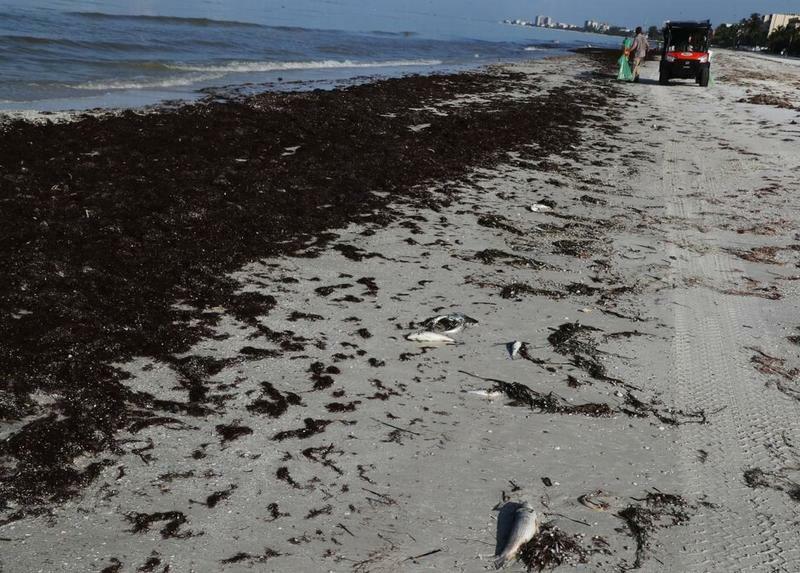 Rick Scott issued an emergency order Monday and provided $1.5 million to help clean up water and bring back tourists to Southwest Florida after the latest outbreak of red tide.